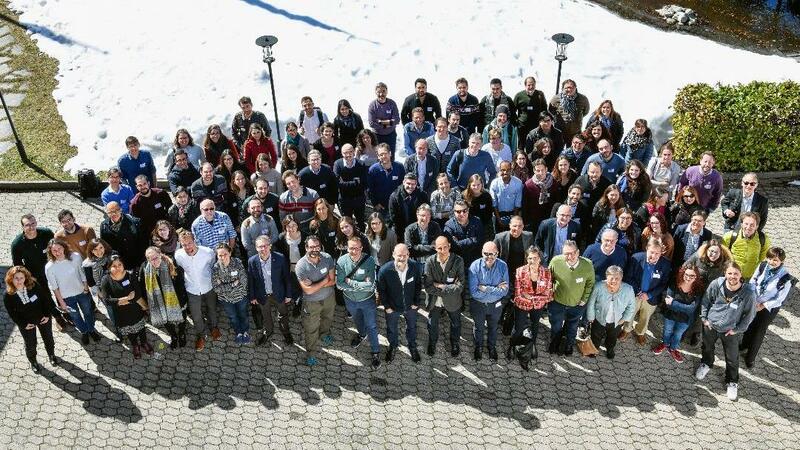 Members of the Swiss National Centre of Competence in Research Synapsy met in Villars on March 21-22, 2019 for its traditional annual retreat. A series of seminars addressing the five Synapsy work packages – autism spectrum disorder, 22q11 deletion syndrome, mood disorders, biomarkers of early psychosis and developmental stress – provided an opportunity to review the progress and discoveries made since the previous year. As every year, it was the experimenters themselves who were in charge of presenting their results to the audience composed of psychiatrists, psychologists and neuroscientists. Representatives of the Advisory Board, affiliated members and invited speakers also attended the discussions. For this ninth edition, the translational approach put together by Synapsy stimulated a productive dialogue between the three disciplines and led to new insights on mental illness. Special sessions were organized. Genetics and how it could help research on mental illnesses was discussed by geneticists Emmanouil Dermitzakis (UNIGE) and Alexandre Reymond (UNIL). The genetic approach will be strengthened in all areas of research over the last four years of Synapsy, thanks to their support. In addition, a session on open data with the intervention of Dr. Cécile Lebrand (UNIL/CHUV), among others, in order to prepare members to the data management plan required by the SNSF. Finally, three new affiliated members, Nathalie Ginovart (UNIGE/HUG), Kerstin von Plessen (CHUV) and Antje Horsh (UNIL/CHUV) presented their respective research. After a rich day of presentations, doctoral and postdoctoral fellows transmitted and shared their research through a poster presentation (53 posters in total). Silva Morani from Carmen Sandi’s group and Stefano Musardo from Camilla Bellone’s group won the 2019 prize for the best basic neuroscience poster. On the clinical side, it was Marie-Pierre Strippoli from Martin Preisig’s group and Virginie Sterpenich working with Lampros Perogamvros – invited to the meeting. The Villars retreat is also a unique opportunity for its almost 120 participants to network through the consortium. Professeur Philippe Conus, Member of Synapsy Steering Committee, Head of the General Psychiatry Dept of the CHUV but also a talented saxophonist, helped stimulate exchanges between neuroscientists and psychiatrists by performing a Jazz concert with his band, very much to the delight of all participants of this 2019 edition.